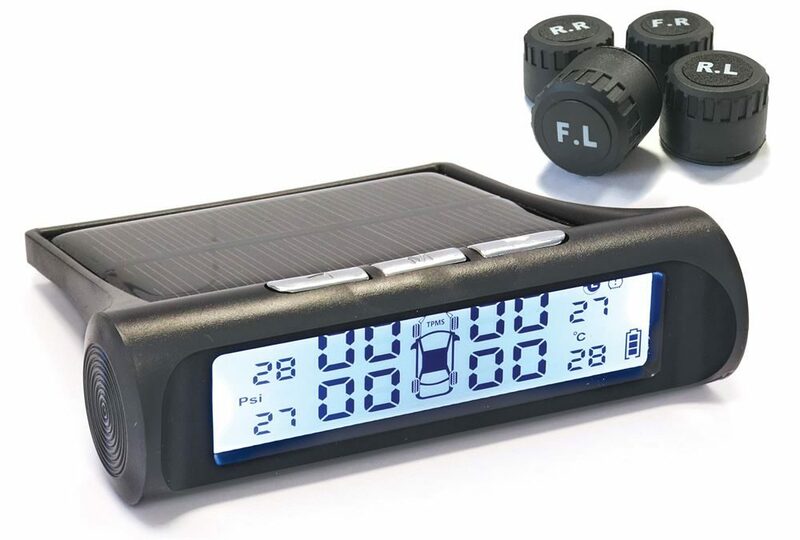 A dual powered tyre pressure monitoring system, for use on vehicles with up to 4 wheels such as; cars, vans, SUV’s, 4x4’s, caravans and motorhomes. Helping to improve fuel efficiency and prolong tyre life. Bluetooth Connection – The 4 sensors simply screw onto the vehicles valve caps & connect wirelessly to the unit within seconds. Dual Powered – Solar & USB charging options mean low running costs and ensure the system is available day and night. 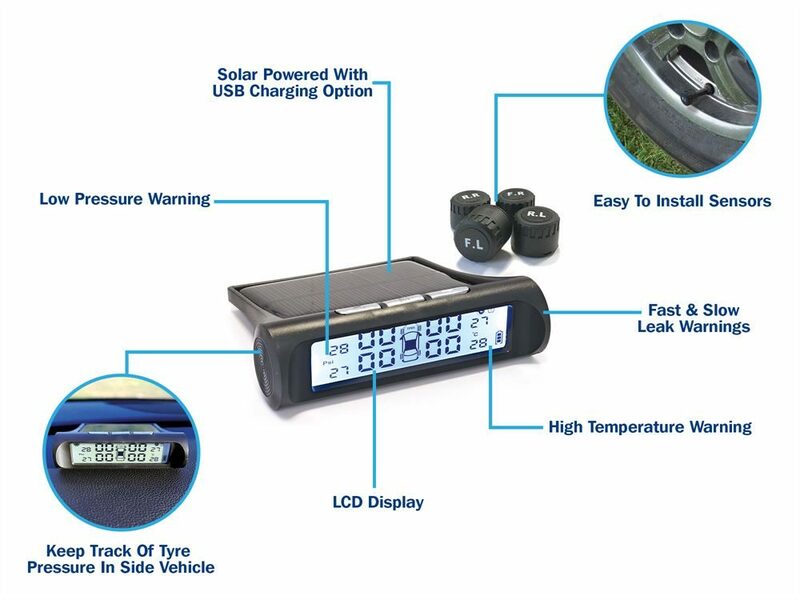 Multi-Functional LCD Display – Stay safe whilst driving with the large LCD display, giving real time info on temperature and tyre pressure.